Power suits are trending. Celebs and fashion influencers are flaunting their colorful co-ords on Instagram, and they have obvs convinced us that we may need a pair in our lives right now. So, we scoured everywhere to find the most eye-catching matching sets you can to add to your wardrobe. You're sure to get everyone's attention when you put this set on. 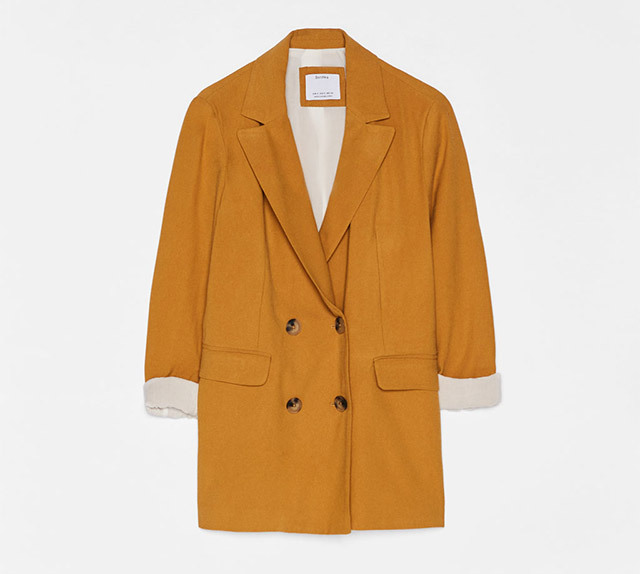 Plus, the corduroy fabric gives it a cozy, vintage feel. 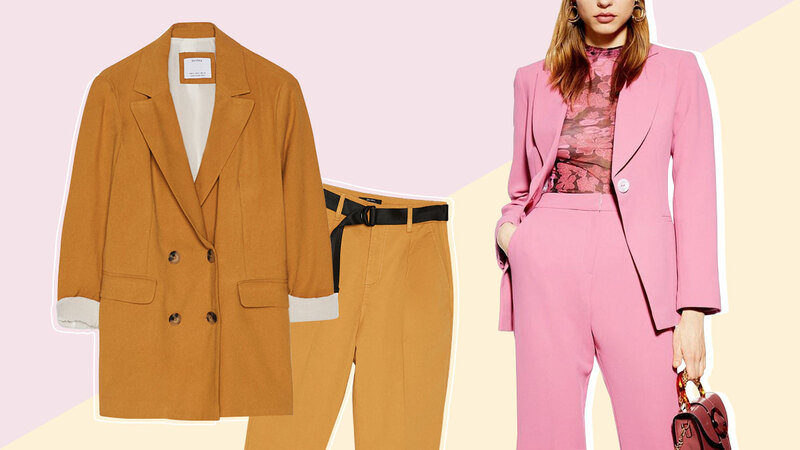 Turn heads with this blazer set in the cutest color in the world. You can still wear a suit during summer as long as it's made with a lightweight material and comes in a bright color. 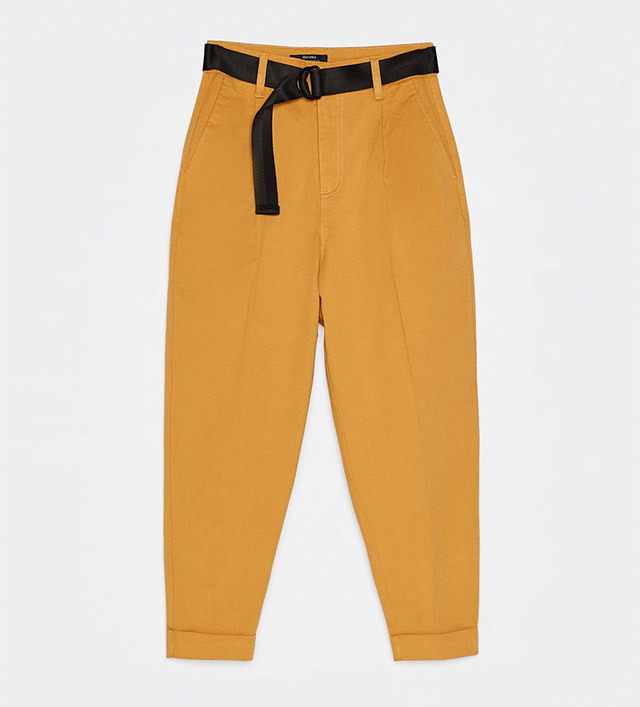 Yellow's more serious sister, mustard, is safe to be worn in the workplace. 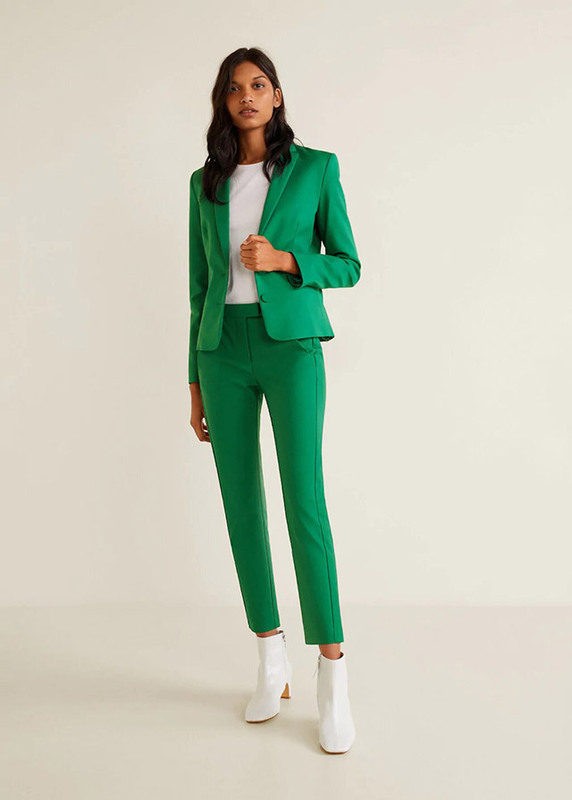 The sleek shape of the blazer and pants in this jewel hue makes this suit a sure winner. Neo mint, the supposed color of the future, looks super chic! 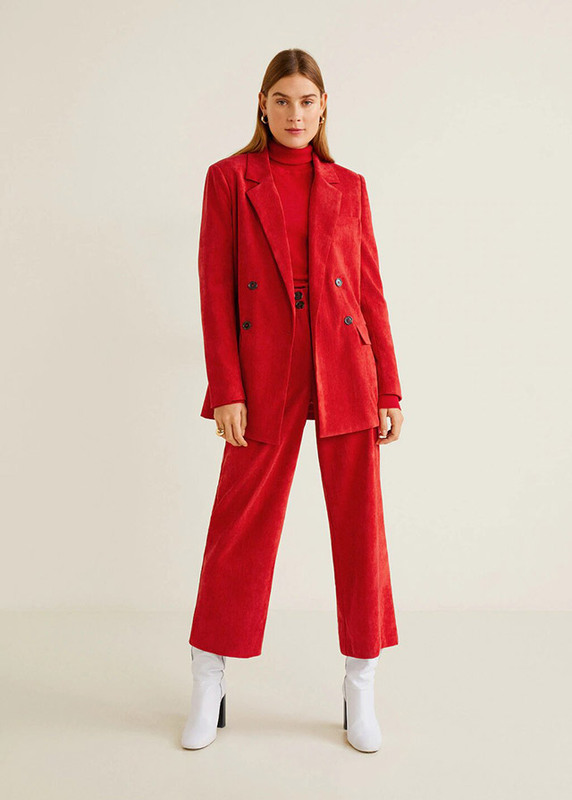 We can totally see ourselves wearing this pantsuit! Pair this set with platform wedge heels to create a taller silhouette. A suit paired with a pair of tailored shorts can be cute and powerful at the same time!